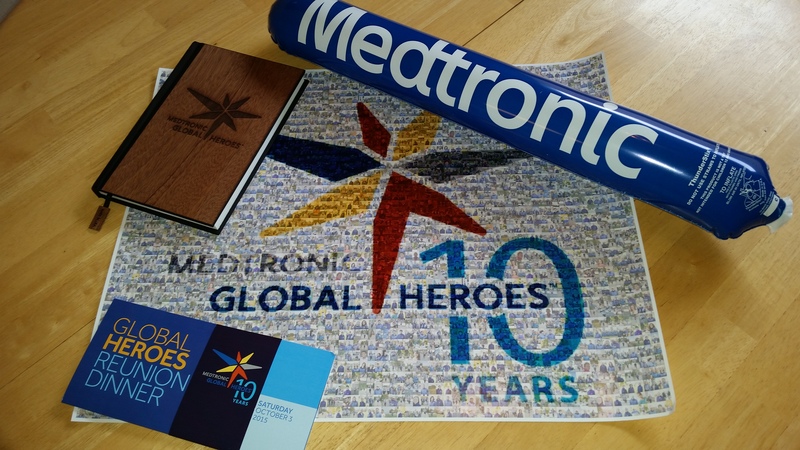 Last weekend I flew to Minneapolis to celebrate the tenth anniversary of the Medtronic Global Heroes program. 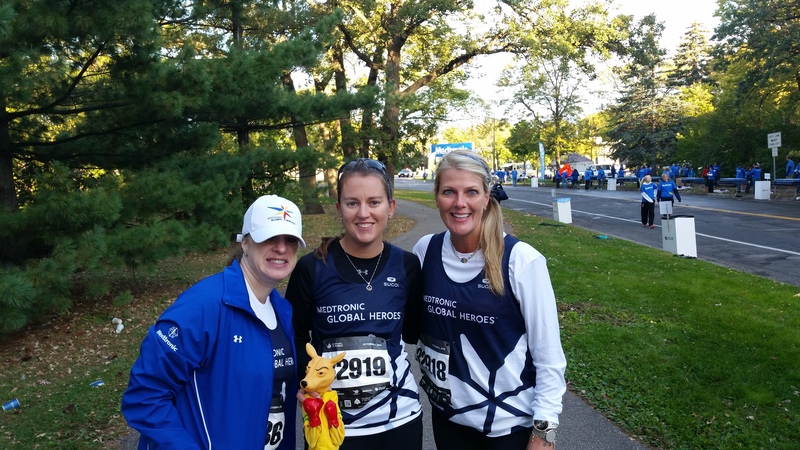 Global Heroes are runners selected by Medtronic who have overcome major health struggles with the help of medical technology. I was chosen as a Global Hero a year ago, in 2014, and this year we were invited back to join all the Global Heroes from all ten years, including those selected for 2015. As I thought about this blog post, I went back to read what I wrote last year after my initial weekend with the other Global Heroes. Damn! I wrote everything back then that I wanted to write today. 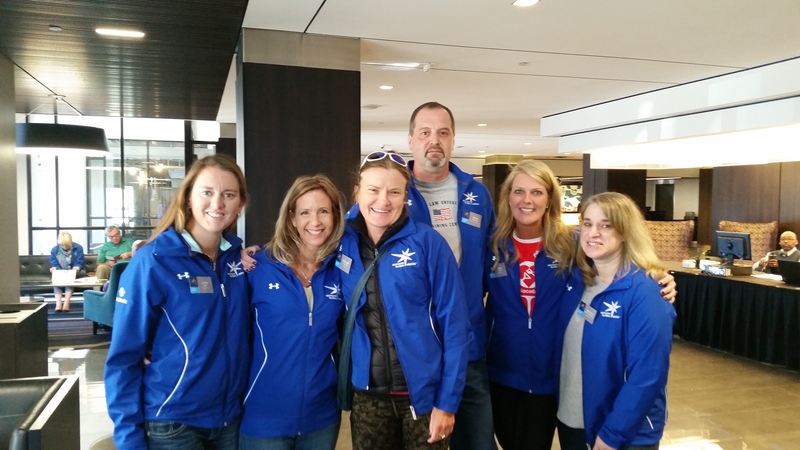 Spending more time with my Global Heroes family was a jolt of inspiration. The problem is that sounds so cliché and abstract. We use that word so often – inspirational. The reality in this case is so much bigger. There is a spirit to our group that is contagious, that rubs off and leaves me feeling unconquerable. This year I had the opportunity to talk with them much more about the health struggles they’ve overcome. One of the cardiac patients told me what it was like to get a phone call from a nurse who told her she had aneurysm in her aorta and then what it was like to go into a surgery that would include her heart being stopped and put on ice for three hours. Another told me about going into the emergency room after having a heart attack for more than a day. One woman explained in detail what it felt like to be shocked by her ICD – implantable cardioverter defibrillator – a shock so powerful it drops her to the ground and then how scary it was to keep running even though she could be shocked again at any time. I spent time with one of the Heroes who deals with diabetes and I felt first-hand what it means to be constantly – and I mean constantly – worried about sugar levels. Here’s the part that makes them amazing: these conversations last just long enough for there to be understanding and connection, but then the next thing I know we are back to talking about our athletic endeavors. They are all pushing for something – adventurous runs around the country and world, a first marathon, a Boston Qualifying marathon, a triathlon every year, an Ironman, an ultra-marathon, an extended backpacking trip. We talked for hours (hours!) about our hopes for the coming months and years. It isn’t just that they are ambitious in running. It’s the way they live their whole lives. They are constantly striving to add more in all aspects of who they are, to live fully and well. It’s easy to see someone you don’t know do something amazing and think, “that’s inspiring,” but it is something entirely different to connect on this level, to have shared understanding of the impact of traumatic medical conditions, and then feeling nudged to dream even bigger dreams. There’s energy in our gatherings, energy of support, encouragement, camaraderie, and of their indomitable spirits. Not only did I get to connect with my brothers and sisters from the 2014 team, I also got to meet dozens others from years past and welcome 25 new Global Heroes into the family. 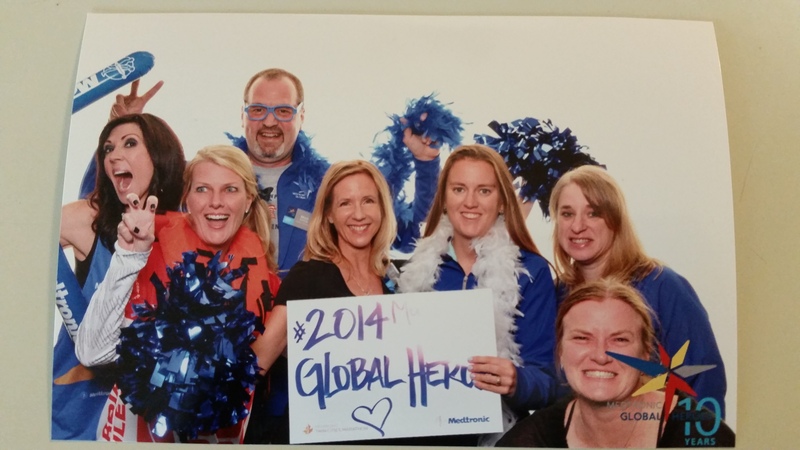 Many of our original Global Heroes selected in 2014 couldn’t join us this weekend, but Facebook has kept us connected, and their spirit was with us too. I trust I will see many of them in the not-to-distant future. Until then, I’ll think of them the next time I feel I’m hurting too much to go for a run; their strength will get me out the door. Six of us together again for the first time in a year. Cool schwag, as always. We also got new racing singlets. Kimi had a broken foot and torn Achilles, so she was in a boot. 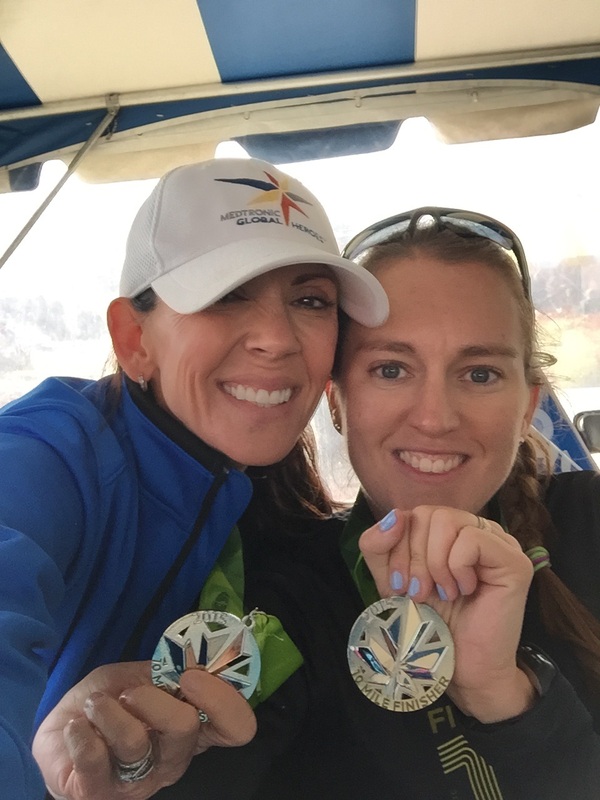 Did that stop her from participating in the Medtronic Twin Cities 10 Mile race? Of course not! She was allowed to walk, so she did. It just so happened that Kristen is having troubles with a chronic blood condition so she wasn’t allowed to run either. I’m still recovering from my 100-miler. So the three of us teamed up and walked the 10 mile race. (Of course our mascot, the Roo, came too) The friendship made for a fun and fast 10 miles! So many laughs and so much fun – always. You look so stunningly beautiful in that photo, Lynn! Anne, I’m so happy to spread their influence.